The sack trucks P style handle works well if user needs to free up one hand. High backed sack truck for taller loads. Tubular steel frame with loop handle and solid foot iron. Pneumatic tyres for good handling over rough terrain. P handle sack trucks are popular for delivery drivers who may wish to free up one hand for closing car doors, ringing doorbells etc. 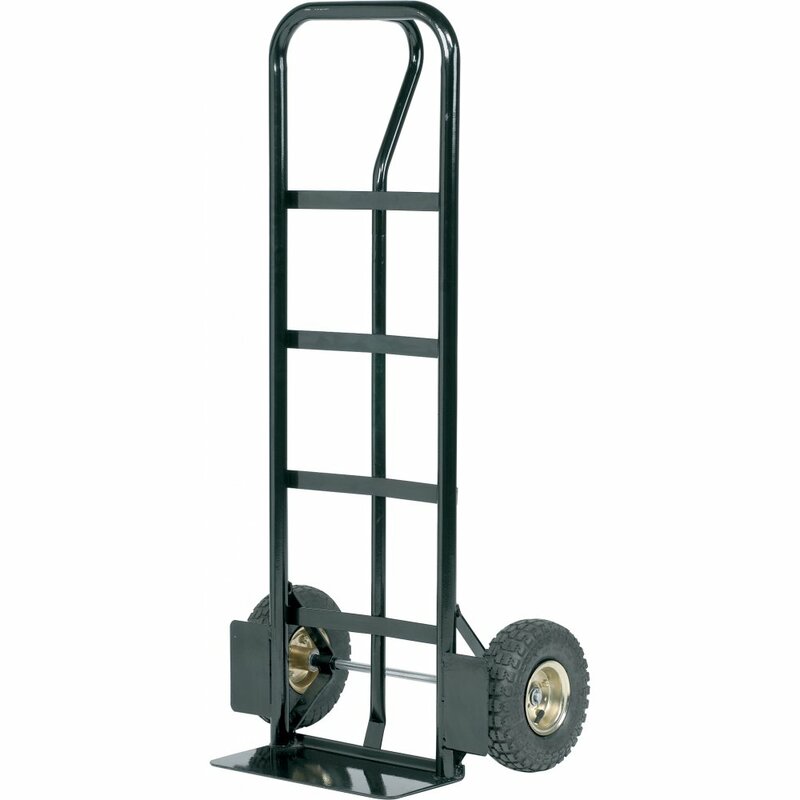 This high back hand truck can accommodate more loads than a conventional truck and it has the added advantage that you can lie it horizontally on the ground and stack the goods before lifting the truck into the upright position. Pneumatic wheels make this sack trolley ideal for outdoor use where ground might be heavy or uneven. Guards in front of the wheels prevent the collection of mud and debris allowing for consistent trouble-free use. At 12 Kg, this P handle truck can be comfortably lifted onto the back of a vehicle while complying with The Manual Handling Operations Regulations (MHOR) 1992. The 200Kg capacity is easily enough to carry most loads safely and securely. Available from stock on free next day delivery and carrying Parrs 3 year guarantee. Showing our 2 Parrs Steel P Handle Sack Truck Cap: 200kg reviews with an average rating of Very Good. Would you like to write a review? Base plate needs to be a little deeper to lift off the floor a box 12" x12"'. Ok product - wheels buckle under near max load, tyres go flat and don’t use your foot on the bar at the back to push the load into position it will just bend. Wheels are a bit wobbly.